The Balkan countries in Eastern Europe had been at the top of my travel wish-list for as long as I could remember. Everyone who had been to Bosnia & Herzegovina told me incredible stories filled with beautiful sights, friendly people, and delicious food. 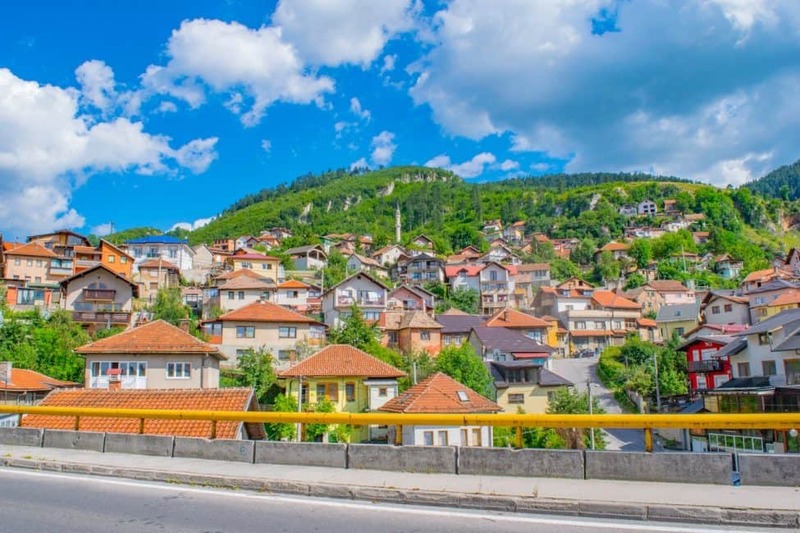 While all of that sounded amazing to me, I’ll be honest — what originally sparked my interest for the Balkans was how affordable it is to travel through! I've spent a lot of time backpacking around countries like the Philippines and Malaysia, so when I planned on spending the summer in Europe, my goal was to visit the more budget friendly countries in the Balkans. While I could probably write a small novel about my 3-week road-trip in Eastern Europe, I’d like to share with you the highlights of my Bosnia & Herzegovina road trip. It was an absolutely incredible trip, and was filled with life-changing experiences! When this Bosnia & Herzegovina road trip started in Sarajevo, we really had no plan of where we would go. We actually just looked at Google Maps, picked out a few spots that sounded interesting, and started driving. 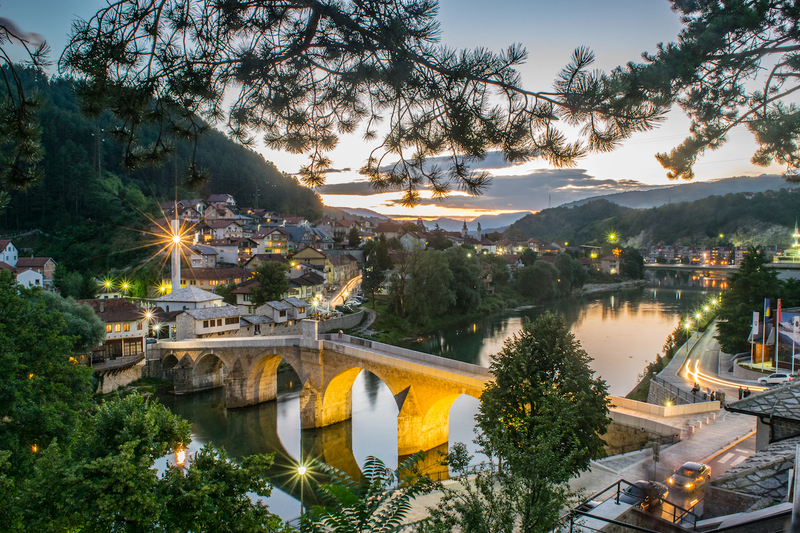 When we arrived into a charming little town called Konjic, I found myself wondering why I had never heard of this place before. It has everything that tourists would typically love like: a picturesque bridge, beautifully coloured houses, and mountainous landscape. I only spent two days there, but I could have easily stayed a week or two just to soak up the small town vibe. 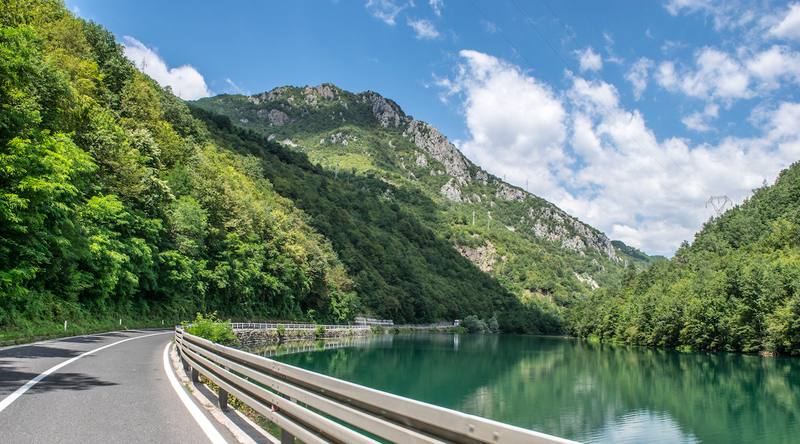 Download 44 of the Best Road Trip Songs to entertain your way through Bosnia and Herzegovina. I’ll be honest — I did absolutely zero research before my travels in Bosnia & Herzegovina. I had no idea what to expect, and I think that’s one of the reasons why I completely fell in love with the country. 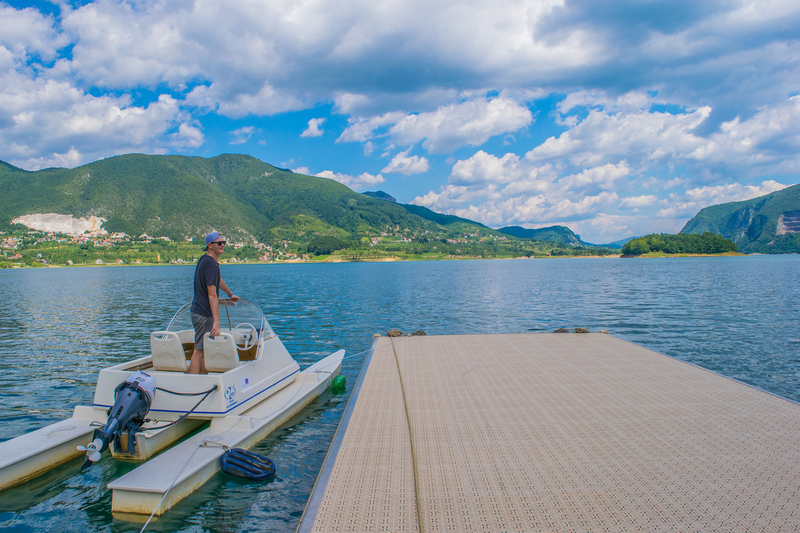 Renting a car and driving around Bosnia & Herzegovina is an adventure in itself, and will consistently leave you speechless. There is a variety of different landscapes, countless beautiful lakes, and so many massively impressive bridges! Driving along the mountain roads was a treat for the eyes, and we were constantly making necessary photo stops. 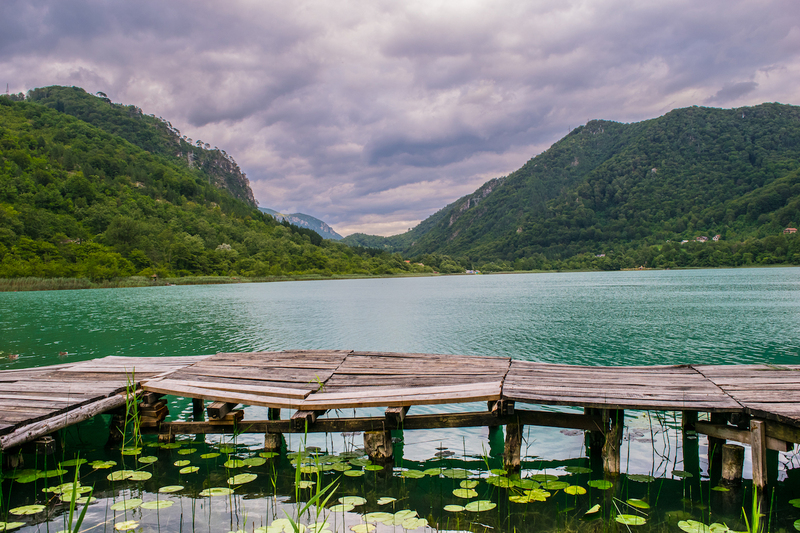 Take a look at why you should travel to Slovenia. It’s pretty obvious that no one plans a trip to Bosnia & Herzegovina without visiting Mostar. Now I fully understand why. This was by far one of the most enchanting places I’ve ever visited. Walking along the streets at night made me feel like I took a step back in time. The cobbled stone streets are filled with small family-owned restaurants, tasty gelato stands, and cute little souvenir shops. The highlight of visiting Mostar is simply marvelling at the beauty of The Old Bridge though, and it’s also one of the most fun places to test out your photography skills. I spent a few days in Mostar, but I feel like half the time was spent just chilling down by the bridge, and having some photography fun. I must say, I do think my photography skills have improved in the past few months since visiting Mostar, so I’m looking forward to getting back for Round 2! Improve your photography skills with the best landscape photography tutorial ever. I’m not a morning person. Simple as that. Typically I only get to see the sunrise if I’ve been up all night dancing at a music festival, but somehow I found the energy to wake up at 4:00 A.M, and make the 30 minute drive up to Hum Mountain for sunrise. 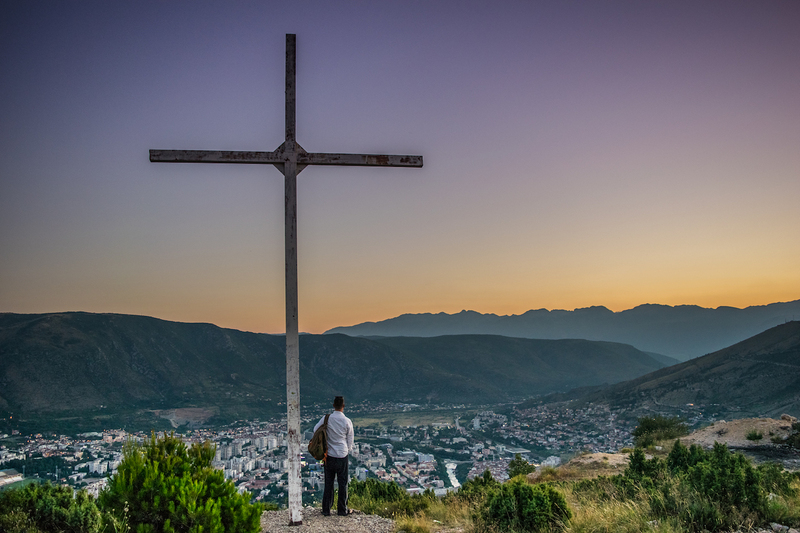 Hum Mountain was one of the best decisions we made during our week in Bosnia & Herzegovina. It was a gorgeous view watching the sun rise in the distance from beneath the mountains. This was one of the special travel moments that I'll never forget. I was along in my thoughts pondering life, love, and the pursuit of happiness. Too cliche…apologies. If you go to my travel blog, the first picture you'll see is actually of me watching this sunrise in Mostar! It might have been a struggle to wake up for, but is was completely worth it. If you ever find yourself in Mostar, don't miss out on this experience! I guess it’s true what Dave & Deb say in their travel tips — sunrises are indeed better than sunsets (most of the time). Ever since watching this sunrise, I've been trying more often to wake up and photograph more sunrises. 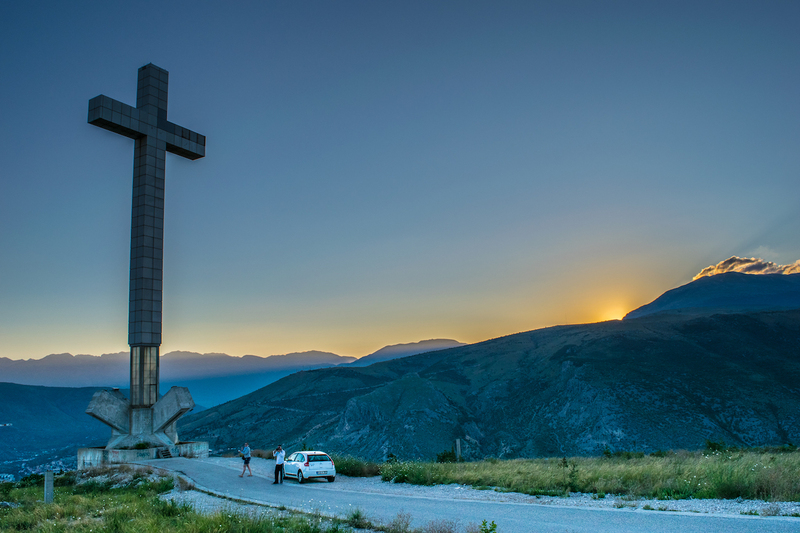 If you’re planning a trip to Bosnia & Herzegovina anytime soon, the best piece of advice I can give you is to rent a car, explore the country as far and wide as possible, and take it nice and slow. My time in the country was a bit too short, because I easily could have spent a full month checking out all the country has to offer. It was a jam-packed week though, and was the perfect beginning to my road trip in the Balkans! Dave (or more commonly known as his travel alias “Jones”) is full-time traveler and photographer from Southern California. He's lived in six different countries, loves learning new languages, and has a strange obsession with hummus. 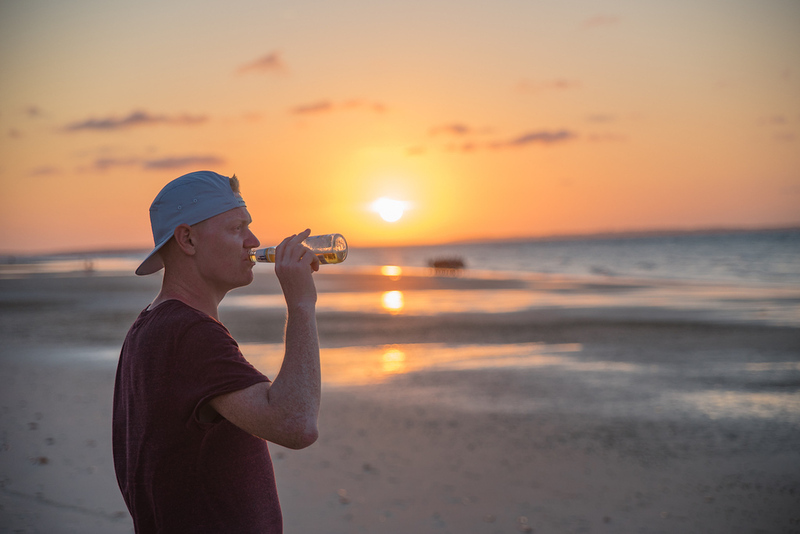 You'll most likely find him on a tropical beach, grooving at a music festival, or anywhere else he can get a cold beer. 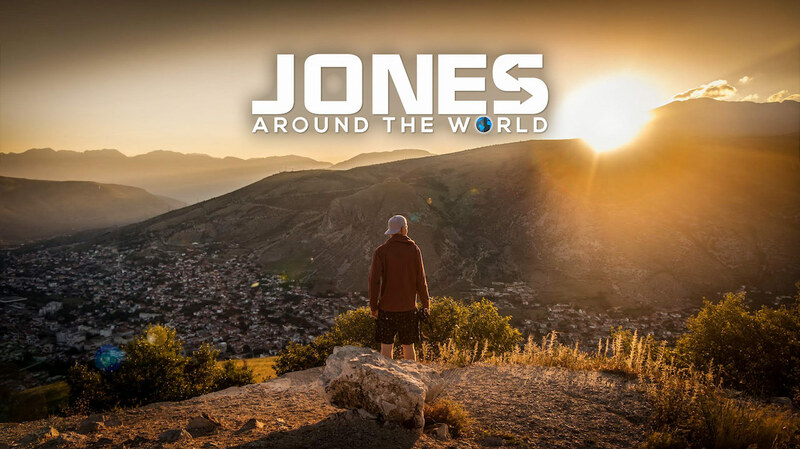 Follow his global adventures at JonesAroundTheWorld on Facebook and Instagram! 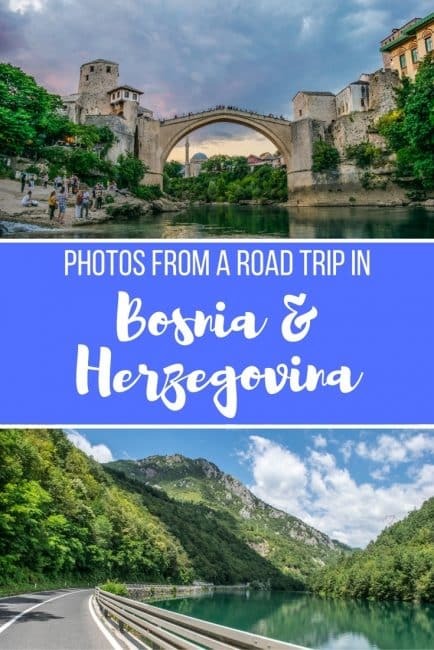 6 Responses to "Bosnia & Herzegovina – A Road Trip Spotlight in Photos"
Mostar is my hometown…so Just say if you need some more tips! The Balkan scenery is outstanding! Thank you Dave and Deb for the motivational post! The architecture looks really beautiful and I understand that Bosnia has a great climate as well. Are there any river or lakes with good swimming opportunities in your opinion ? 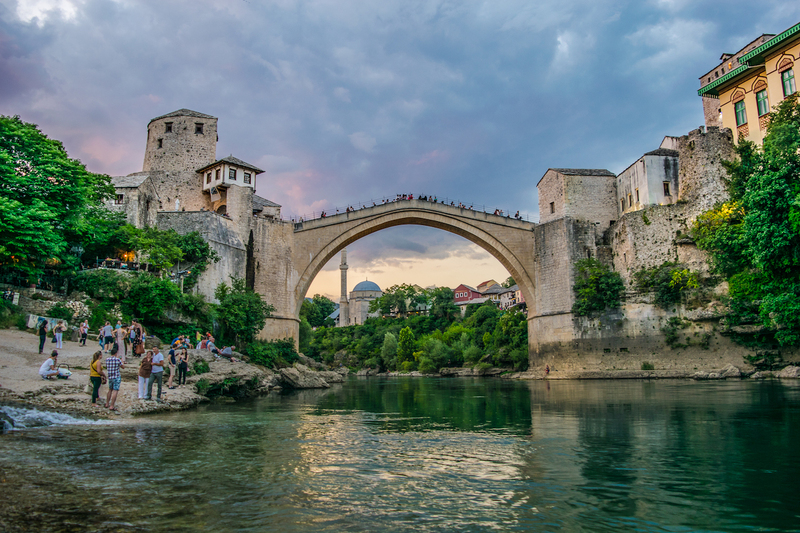 But of course, bridge of Mostar is the most iconic destination there. I would start my traveling route from jumping from it, looking around a little bit, and then proceed to the capital. It seems pretty doable. How is security situation there in your opinion ? This part of the world is very magical. Very eye catching lakes, and the mountains can be very good spot for hiking. Worm people and their humor is fantastic. Thanks Dave & Deb for mind blowing Article. Great post – inspiring. We’re tempted with a road trip like this, potentially from our home in the U.K. 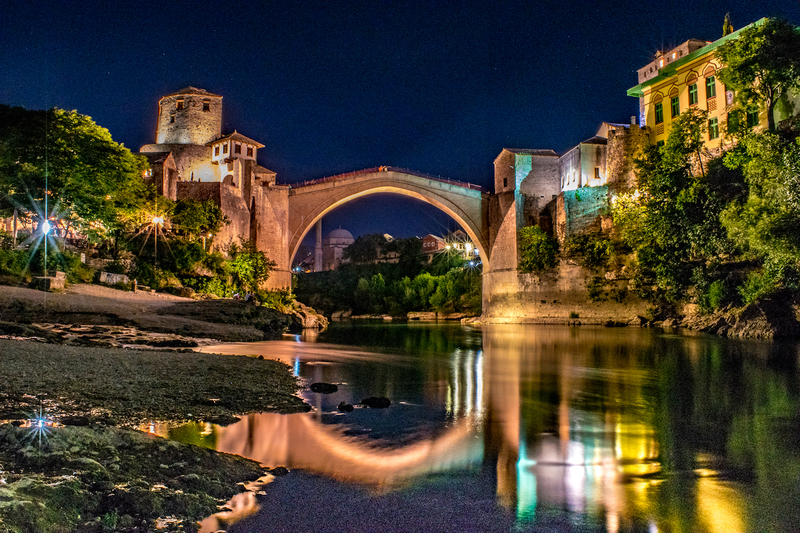 The old bridge in Mostar night image is stunning.